Create a LineRenderer: developer can see a ray being shown on screen. 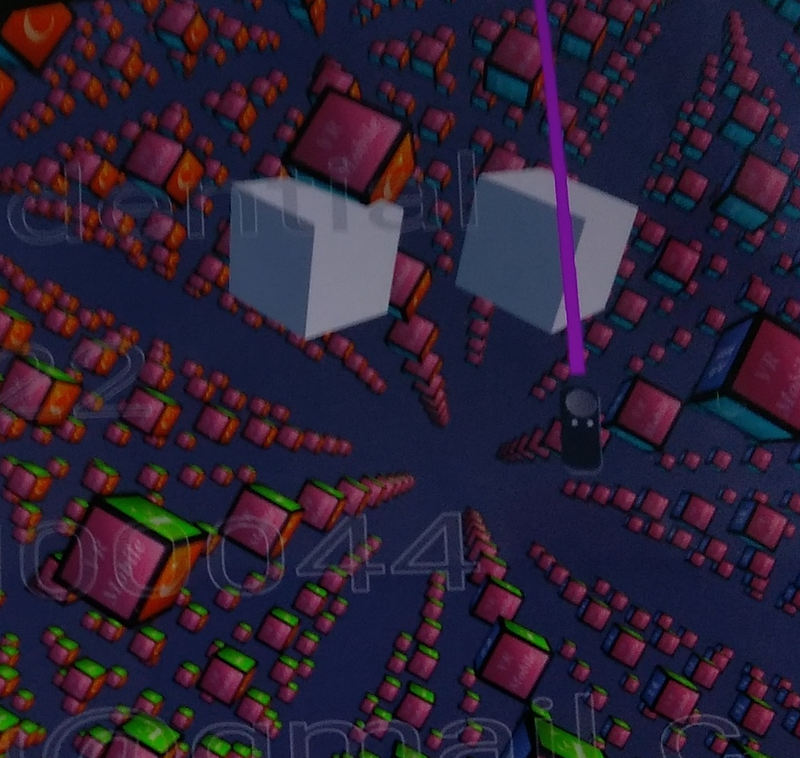 Cast a invisible ray: can be used to detect 3D or 2D GameObject in world space. In editor mode, developer can play scene to see the effect. Use “right alt” and mouse to controll the rotation. Device Index: index of connected device. It is for use with next variable - Listen To Device. 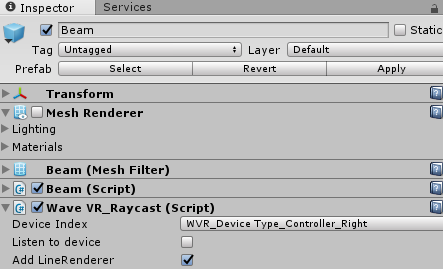 Listen To Device: if checked, the LineRenderer is only generated when controller with specified Device Index is connected. Otherwise the LineRenderer is always created. When device is connected or disconnected, OnDeviceConnected will enable / disable the LineRenderer. if (index != device)    // check if the role of connected device is equivalent to developer specified index.